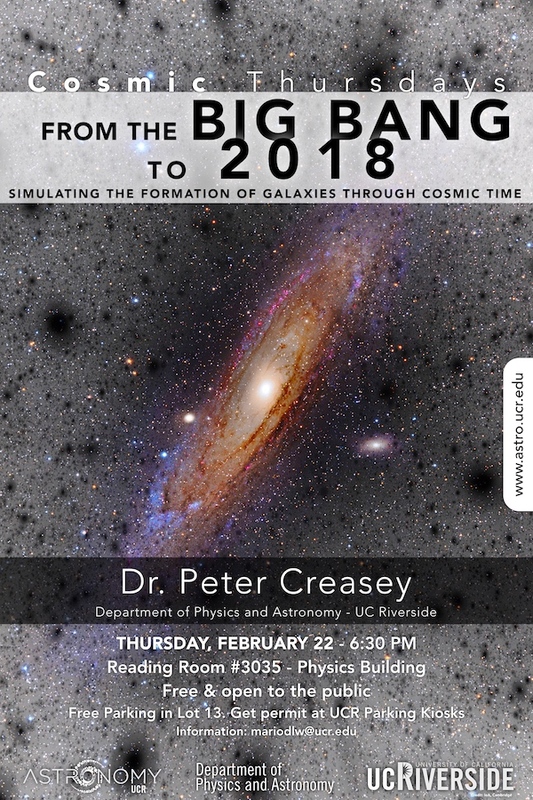 COSMIC THURSDAYS, a series of public and free talks on astronomy continues during 2018. The talks are designed with the general audience in mind, they are fun, easy to understand, and engaging. Our biggest telescopes can see our cosmic environment out to billions of light-years away, looking back to the fluctuations shortly after the big bang. In this talk I will describe our place in the cosmic environment and the tools we use to simulate the astrophysical processes that produce galaxies, stars and ultimately ourselves.